Sometimes, it’s amazing what fans are capable of, both bad and good. Last month, I read a WSJ article about readers’ reactions to the end of the Southern Vampire series written by Charlaine Harris (upon which True Blood is based). Yes, Sookie Stackhouse’s books are ending. And people are not all that happy about it. Apparently, True Blood/the Southern Vampire books have garnered a cult following that just doesn’t want to let go. Sadly, the series ending was leaked before the book even came out, and angry memes popped up all over the internet (i.e. Boromir’s face with the words “One does not simply f*** with ones readership”), Harris received threatening e-mails, and she decided not to tour to promote her book due to the tidal wave of angry True Blooders. On a different side of the spectrum, there’s going to be a Veronica Mars movie. 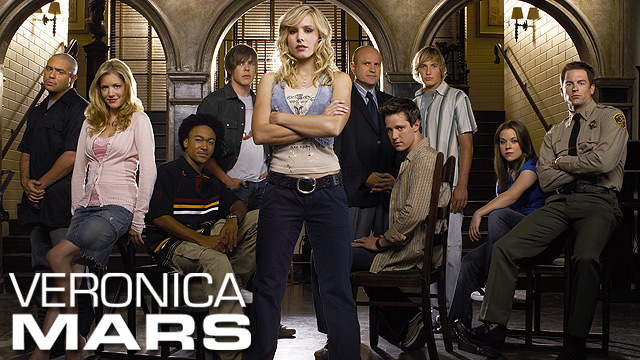 You remember Veronica Mars, right? Teenage noir murder mystery, starring Kristen Bell? Yeah, that one. It was the fastest campaign to reach its goal ($2 million in under 12 hours), and it had the greatest number of supporters in Kickstarter history (91,585 people donated $5,702,153). So, fans basically created a movie! That’s amazing. And, yes, I’ll definitely be seeing it. Both the fans of True Blood/Sookie Stackhouse and the fans of Veronica Mars impress me. Sure, there’s a heavy dose of crazy in there on the fringes, but how cool is it that people love these characters, these stories so much that they are willing to step outside their normal, everyday lives for them? In my opinion, very cool.